For more than two years Mimi Sheller, Ole B. Jensen and Sven Kesselring have been working on the memorial book for the late John Urry. 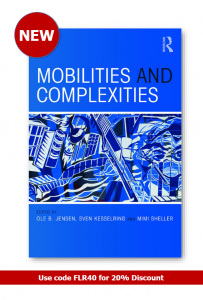 Now ‘Mobilities and Complexities’ is ready for pre-order and will be released in mid October. We are very happy and also proud of this project. It was only possible through a wonderful, unique and inspiring collaboration with almost 40 scholars, friends and academic companions who worked together with John throughout his long and lasting career. The book collects personal essays that document the enourmous impact of John and his work on the scientific community. It is available as hardcover and paperback. 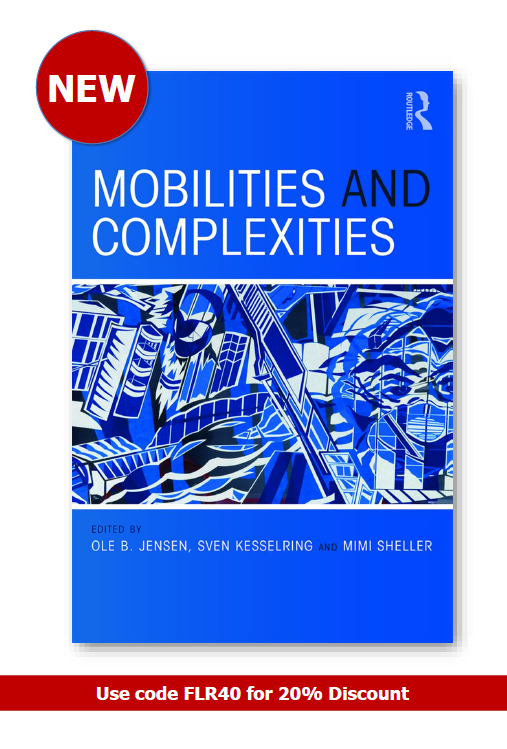 The new mobilities paradigm (Sheller, Urry 2006) has become a powerful perspective in social theory. In particular, John Urry’s oeuvre has been very influential in the emergence of this new field and has had lasting impacts on many scholars, their thinking and researching on mobilities and modernities. This collection presents originally commissioned essays from leading scholars in the field who reflect on how Urry’s writing influenced their thinking and the course of their research and theorizing. The contributors represent several national contexts, including England, Germany, Denmark, Finland, Taiwan, Brazil, Canada, Australia and the USA.